We are seeking comments regarding a draft policy for assignors to register and renew with US Soccer. The policy would apply to ongoing renewals in the years to come. Be a registered USSF referee. Have worked a minimum of 10 affiliated games. Be a minimum of eighteen (18) years of age. Successfully pay for, attend, and complete a five (5) hour CNRA USSF Assignor Course. Successfully complete and pass the CNRA USSF Assignor Test with 80% or better. 1. 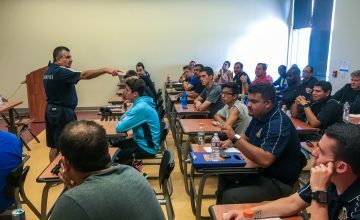 Attend a minimum of one (1) CNRA Tier I Referee Academy, certified by the Tier I Coordinator. 2. Attend a minimum of two (2) CNRA Tier II Referee Academy, certified by the Tier II Coordinator. B. Attend a minimum of one (1) CNRA Assignor In-Service in the previous calendar year. The mission of this policy is to promote the very best assignors to all soccer levels. Please leave your comments on this page or submit your confidential comments to the Assignor Coordinator, Kenyatta Scott. Comments will be closed on September 17. 1) For those assignors who are not within a reasonably short driving distance to the Tier 1 and 2 Referee Academies as well as the refresher, 2 or 3 trips a year just to be able to renew that particular license seems excessive. Many of us have other hats that we wear (just as you do) that require more trips away from home than we already like. I feel we will definitely lose licensed assignors from the outlying areas on this one. 2) If the requirements are going to be insisted on as described, care must be taken to offer these academies and refresher clinics outside the Fall or Spring playing seasons. If we are to be doing our jobs by being at the fields observing and mentoring our referees we cannot be expected to be running to clinics at conflicting times. In other words, make sure that if you are insisting on attendance, you make it as convenient as possible for the people who have to attend. I completely agree with Ken Corbelli. I don’t think too many current assignors will travel very far for a tier 1 or tier 2 course. Personally I don’t know when I could find the time with work during the week and being a referee and mentor on the weekend for both ayso and club. I also think that 18 is too young to be an assignor. It should be at least 21. I believe the the requirements proposed are out of sync with what the rest of the USSF is doing. Many league assignors are older referees who are giving back to the game and who no longer actively referee. Asking an adult mens league assignor to meet a 10 game requirement at the adult mens level would require the assignor to be at a high fitness level. Lets face it..most assignors are not that fit and may no longer have the grade level to referee the games they assign. AND surely you do not intend that the assignor for adult mens matches can meet the 10 game requirement by doing under 10 youth games. What we want is an assignor who is conversant with the level of games that they are assigning. I agree that an assignor who has not refereed at a certain level for 10 years may no longer have personal relevant refereeing experience.But that does not mean that such an assignor is incapable of judging the ability of referees to meet assignment expectations. I do believe that clinic attendance should be mandatory. Assignors have to become more visible to the refereeing community in which they serve. They have to be up to date and knowledgeable. I have some comments (and questions) on the renewal option. I assume assignors renewing for 2017 before Jan 1 do not have to meet the updated requirements unless the classes are offered SOON in 2016. Regarding the class requirements for 2017, I hope enough classes will be offered nearby (for me that means SF Bay Area). Given those caveats, I am fully on board with it. I would recommend that we phase in these requirements versus making them all effective on Sept 1. While I agree with what most of the comments above indicate, I would send this caution, the overwhelming majority of assignors are those local league folks who volunteered for the job and do not get paid, versus the few assignors who make this a career choice and assign higher level games. The reason we have different grades of officiating is to provide those who which to grow and excel an opportunity to do so. I would think that would hold true for assignors also. We need to be cautious in our approach as we could loose a great deal of progress we have made in getting folks to register as assignors in the future. Wholeheartedly agree with Steve’s analysis. Only The classroom part of the Tier Clinic should be mandatory. Attending only one of the Tier Clinics should be mandatory, not both. In order to make it easier for those with a heavy schedule, on line training should be made available to replace the mandatory attendance to a Tier Clinic. I pretty strongly disagree with the proposal. Assignors are difficult enough to find. Many assignors are volunteers. Also, assigning is primarily an administrative function, and while assignors often play the role of assessing the quality of a referee, its not always the case, as a club or league may have other senior level referees that can be providing the feedback to the assignor. An effective assignor does not necessarily need to be an expert referee. I think a better way of keeping up the quality of assignors is to use online video training with online assessments to keep up skill, and also district level mentoring. Is it time for the assignor to have some part in the development of the officials? If yes, then some indication of the mentoring or coaching levels should be included in the re-certification process. It may be that the assignor states that there has been some number of coaching/mentoring events during the season. Another question; is it possible to have the organization that has hired the assignor provide some level of recommendation for the re-certification process.? That recommendation when coupled with the statement of mentoring/coaching should bind the parties together in a common focus of enhancing the officials performance. I strongly disagree with this proposal – you will lose assignors. I agree with Shannon, assignors are difficult enough to find, most are volunteers and it is primarily an administrative function. The assignors I know have been around the game for a long time and have older quality referees helping them assess/mentor their clubs referees. In regards to renewing your assignor license – unless you are going to offer courses in every community again you will lose assignors. Thank you for the opportunity to respond. The proposal is bias and favors the T.1 program director who wears an assignor/instructor/assessment director’s hat for CNRA. More importantly, his priorities are assigning DA games for the T1 program v. development of officials for games at all the levels from USL down to amateur and competitive youth leagues. Secondly, the CSAN and CYSA programs are the developmental programs for officials; with a majority of recreational leagues being assign by volunteer assignors while at the amateur level, the assigning program exists based on assignors who have knowledge about the teams and league dynamics. The online training and manuals are conducive to forcing folks to drive long distance to attend a T1 academy and/or state academies during the middle of their season and most likely won’t be assigning many of these T1 officials for their leagues. – It is show-boating for the director of T.1!! However, the assignors who make a living and run a business and are hired by multiple leagues to assign officials should attend the State Academy clinic or be held to a higher standard. Upon reading the proposal, I have to wonder whether CNRA is connected to the realities of the sport today. Being a referee and being an assignor requires clearly a very different set of skills. An assignor is someone who is organized, good with technology, and knows his workforce. How is making an assignor fulfill these requirements will add to the skill set I described? It won’t. If implemented, most of soccer assignment will be done by a handful of private companies (much like PSI basically owns most of high school). Is this what CNRA trying to accomplish? How about making sure your assessors have a clue about the soccer of a modern day as opposed to 30 years ago when they might have done a U-15 rec game? 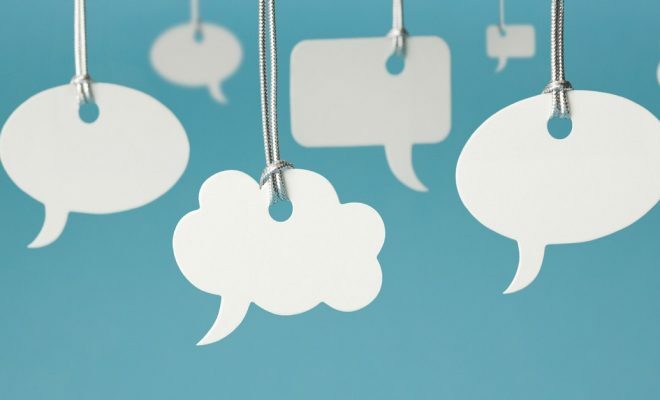 How about clear and timely communication? I get one out of five emails answered by CNRA. I think CNRA’s priorities are clearly in the wrong place. The problem with assigning does not exist, why invent it? Is there a hidden agenda? 1) Requirements to become an Assignor. 1) Seems clear to me if these are the requirements to become an assignor, they should also be the requirements to be an assignor. Assignors provide supervision to referees. The skills to be an assignor involve dealing with people, dealing with the administrative duties, and dealing with the customer (the league or club or teams that hired the assignor). Regarding being a USSF Referee and having worked 10 matches – what does this provide? This is insufficient if the assignor is going to mentor referees, answer law questions, or be an authoritative voice regarding on-the-field refereeing issues. Among the competitive youth leagues where I know assignors, there are some that are accomplished referees, but there are also some assignors that are parent volunteers. Forcing that parent volunteer to become a referee and work 10 matches will not make any impact on their ability to assign. This requirement is insufficient to meet any goal to have better assignors. Regarding the age requirement – I suspect that this should be a legal/liability question. Assignors have access to the personal contact information of thousands of referees. The minimum age – be it 18 or 21 – should reflect an age where CNRA can hold an individual assignor responsible for any misuse of that information. Regarding the Course and Test – how does the course differ from the 8 hour USSF Assignor course that many assignors took years ago? >> No physical fitness requirement. What problem are we trying to solve by adding referee registration, a game count and a written examination? 2) Next look at the annual recertification. Regarding the Tier 1 or Tier 2 academies. These are geared to Grade 6 and higher referees or those referees that want to work higher level matches. Would an assignor get something out of attending one of these? Not from the content. Maybe the knowledge that the academies exist and how they operate. Those assignors that assign the higher level matches are probably already attending the academies. Those assignors that are dealing with the thousands of youth recreational and lower level competitive matches will learn little that will assist them with assigning. Perhaps this requirement is proposed to encourage assignors to promote the academies for their strongest referees. I suspect that the assignor’s time can be used more productively. Regarding an in-service clinic – I support that idea whole heartedly. With a caveat – there has to be a clear curricula and sufficient clinics (in number, time and geography) that attending the in-service clinic does not represent a burden. The assignor has to come away from the in-service clinic with new ideas, new knowledge or a new outlook. When to schedule these clinics will be difficult. There really is no good time during the entire year. An in-service clinic for assignors was an option the SRC had in the old Referee Administrative Handbook. In conclusion, what problem are we trying to solve? Is the current system of recruiting and registering assignors flawed? If there are no flaws and the idea is to improve the system, incremental steps might be best. As this is a forum being read by assignors – I have two complaints regarding the support CNRA provides to assignors. 1) Cost. Referee registration went up 11% for 2017 from $45 to $50. Assignor registration went up 100% from $10 to $20. 2) Access to the list of registered referees. Assignors use many different software platforms to get referees assigned to matches. Assignors are required to check that referees are currently registered with CNRA/USSF. However, the ONLY software platform that CNRA supports to test whether a referee is currently registered is GameOfficials. If an assignor uses any other assigning software, that assignor has to manually look up the registration status of referees. The registration data belongs to CNRA and not to GameOfficials. CNRA should insist that GameOfficials makes the CNRA owned data available to all assignors on a equal basis. CNRA should want to make it easy for assignors to enforce referee registration requirements. This is after all Northern California, home of Silicon Valley. I appreciate the feedback from assignors on website because the responses are thought out well. I disagree with most of the proposed changes for 2017. What new benefits will these changes provide to the organizations using referee assignors? All of these requirements are fine for a few select assignors at the highest levels of competition. However, I suspect that most of the assignor community services the needs of one of more youth soccer clubs. Why should these assignors be required to meet the needs of higher level competition and assessment of referees? I also believe that the number of certified assignors will decrease significantly. I, for one, will let my license lapse if this changes are approved. As a board member for a small youth club almost solely supported by volunteers, we finally hired an assignor about 3 years ago. Even today, the number of assignors who are willing to provide services to smaller clubs is extremely limited and the fees are relatively high. There is already a shortage of assignors available at this level, and these changes will not encourage new assignors for clubs that provide primarily recreational level youth games. I feel that assigning and assessing referees are separate skill sets. Since there are already separate certifications for assigning and assessing, are the proposed changes intended to collect more certification fees by forcing assignors to become assessors too? I see assignors not being able to do much mentoring because we are having to assign ourselves to games where a lack of referee availability exists. The effectiveness of assignors is highly dependent on the availability of referees. 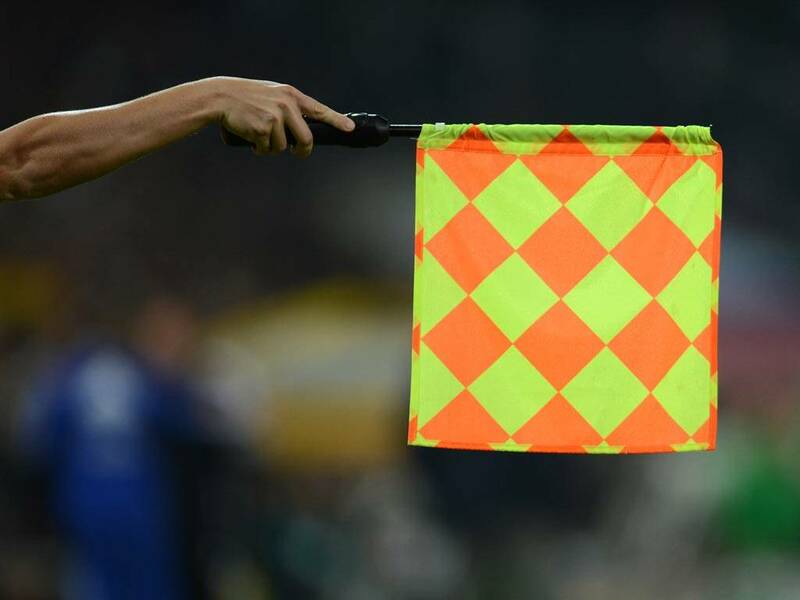 As volunteers and independent contractors, assignors rely on clubs and leagues to replenish diminishing referee pools each year. In my opinion, CNRA should spend more time figuring out how to market for referees with clubs and leagues rather than generate excessive fees and requirements for its assignor pool. Let’s all focus on the elephant in the room which is a declining pool of referees each year! Already pretty busy with my day to day functionS. Being that I maintain my referee license I already have to attend the academy sessions. I feel it would be best to have the certification training held every two years. Just to keep us current with rules, and updates. What problem is this change trying to solve? Why do I need to be an active referee to be an assignor? What am I going to be able to bring back from an academy session that will be useful in my assigning duties? Don’t I have enough to do already? At least this is being opened for comments – the instructor requirements were imposed out of the blue… it will be interesting to see what effect it has on instructors. IME, they need training on INSTRUCTING first and foremost, but that’s not really part of the requirements! Oh well… CNRA strikes again!